The Ascension apartment community in west Houston has been sold. 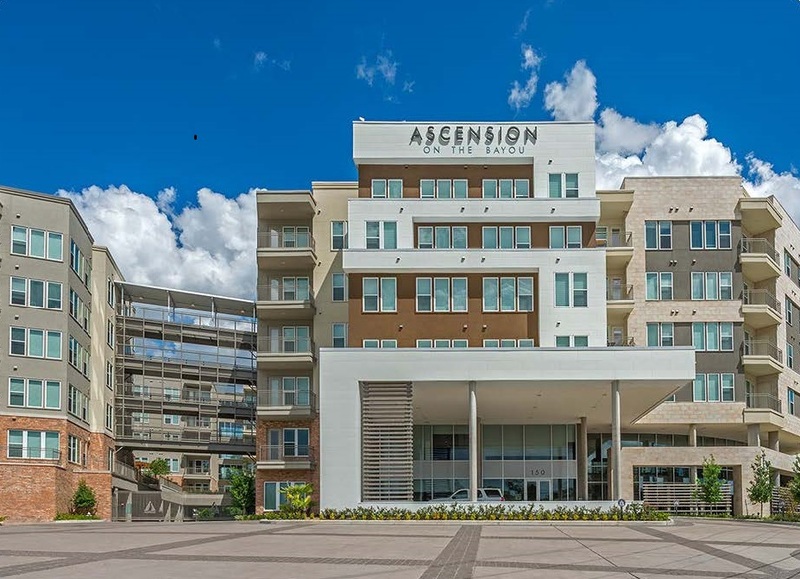 HOUSTON – (Realty News Report) – Tarantino Properties bought the 280-unit Ascension on the Bayou, a mid-rise multifamily community located at 150 W. Sam Houston Parkway North in Houston. The Ascension, completed in 2017, is 95 percent occupied. Teresa Lowery, senior managing director of multifamily with Colliers International represented the seller of the community, which is located in the Energy Corridor area. The recently built podium-style property, which has one- and two-bedroom units, has a LEED Silver certification for energy efficiency and sustainability. Managing Director, Cortney Cole, and Analyst, Sterling Curry, with Holliday Fenoglio Fowler, L.P. (HFF) represented the borrower for financing. The HFF team worked on behalf of the borrower to secure a 10-year acquisition loan with a fixed interest rate of 4.43 percent with six years of interest-only payments. Tarantino, founded in Houston in 1980, has more than $2 billion in assets under management.